The clinical stage is based on the results of tests done before surgery, which includes DRE, biopsy, x-rays, CT and/or MRI scans, and bone scans. X-rays, bone scans, CT scans, and MRI scans may not always be needed. They are recommended based on the PSA level; the size of the cancer, which includes its grade and volume; and the clinical stage of the cancer. 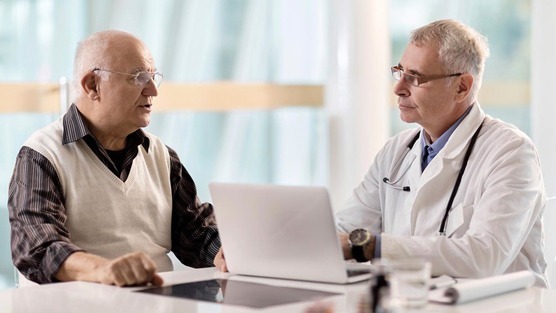 The pathologic stage is based on information found during surgery, plus the laboratory results, referred to as pathology, of the prostate tissue removed during surgery. The surgery often includes the removal of the entire prostate and some lymph nodes. How large is the primary tumor? Where is it located? Has the tumor spread to the lymph nodes? If so, where and how many? Has the cancer metastasized to other parts of the body? If so, where and how much? In stage 1, the cancer is confined to the prostate. Stage 1 prostate cancer can’t be detected during a digital rectal exam (DRE) and is usually expected to be slow growing. In stage 2, the cancer can be detected during a digital rectal exam (DRE). It’s still confined to the prostate, but the cells may be more abnormal and may grow faster. In stage 3, the cancer has now spread beyond the prostate and may have potentially spread into the nearby seminal vesicles. In stage 4, the cancer has spread (metastasized) beyond the prostate into other tissues. Stage 4 prostate cancer commonly spreads to lymph nodes, the bones, liver, or lungs.